Guitar tablature – musical notation! It is custom to think that the standard notation for guitars are chords. In reality, chords are just simplified tablature for the guitar made for rapidly moving across strings and notes, essentially combining several notes and providing the desired tone. 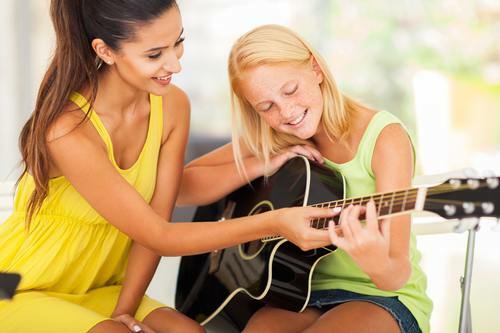 Please note that tablature can use a technique known as barre to elevate or lower the tone of the music piece. Chords also use such an outstanding technique. Musical notation provides maximum capability to present any music, even the most complex pieces, as well as to write your own melody. It should also be noted that performing a composition using the tablature for a guitar is very difficult, especially with rapid playing. It is in this situation that your fingers have to fun on the fretboard with amazing speed. This will definitely cause some difficulties for a beginner and bring a professional some pleasure and self-satisfaction from his skills, depending on his level. Therefore, it is definitely desirable to attend a music school of take lessons from a professional guitarist to acquire such skills. Because it would be difficult to get an understanding of this by yourself; in this situation, there is no explicit division of the strings like in the chords, there are no restrictions or clearly visible additional symbols, as in the simple musical notation. The location of each sign defines a note, but the guitarist must know which one based on what he sees. Also, you should pay attention to the fact that it does not matter for the tablature whether there are six, seven, or twelve stings on your guitar, since each note corresponds to a distinct position. Therefore, you should definitely use such advantageous positions, since a guitarist that plays by the “tabs” is valued much higher than one without the knowledge of the musical location.